In November I photographed the very interesting 1 Berlin Global Forum. It was the concluding event of two years of Global Table talks held in China, Italy, Brazil, Poland and Tanzania organized by the BMW foundation and their partner for the two year cycle, the Earth Security Group. The focus of these talks was on “limited resources - opportunities without borders” and their purpose is best summed up on the Earth Security Group’s website. I was lucky to photograph on all five global tables and have found this experience very inspiring and rewarding, especially meeting the varied participants from all corners of the globe and hearing their inputs during the engaging talks. 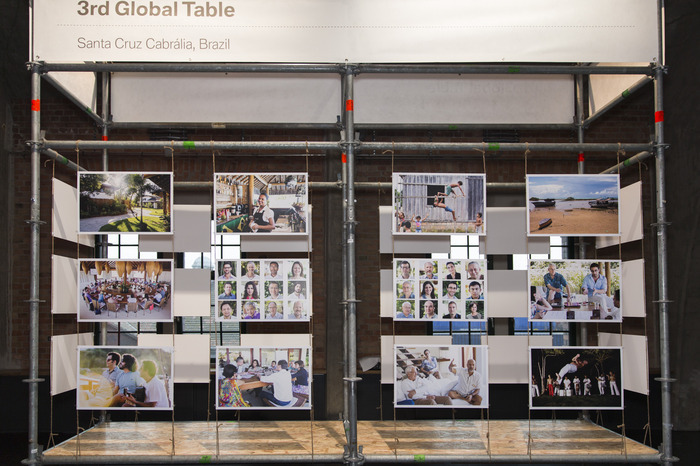 For the 1 Berlin Global Forum, the foundation planned an exhibition of my photos taken during these 5 tables. The curation of this exhibition was a labor intense but very enjoyable process. The creative team at Triad came up with the exhibition construction and the hang. Below you can get an impression of how it looked. The book "Berlin Global Forum" published by Herder, which summaries these 5 tables with articles by participants and my photos, will be publicized in February 2016. Here you can see the E-Book version.